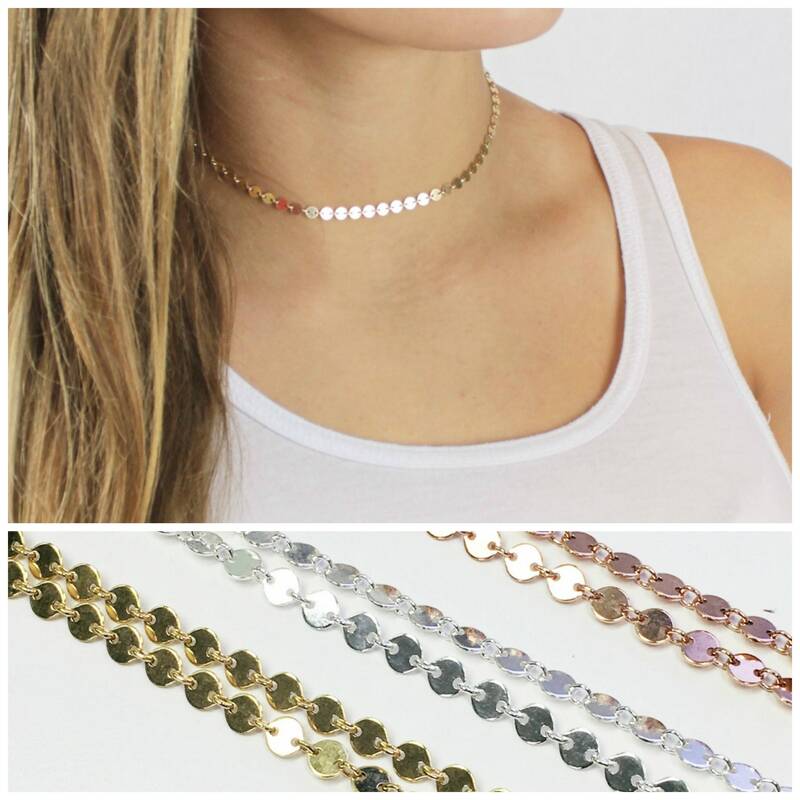 This sequin choker necklace is glam and chic. 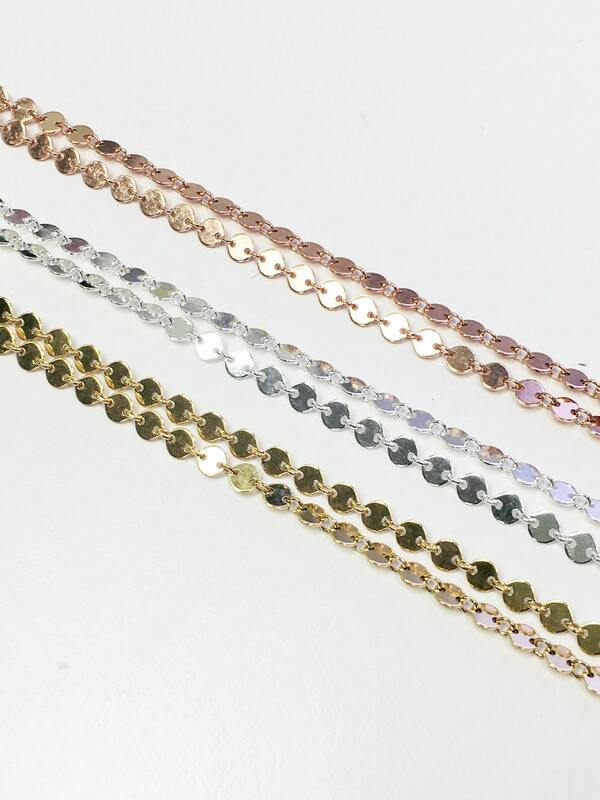 Great at choker length or a little longer to add a little sparkle to your day. 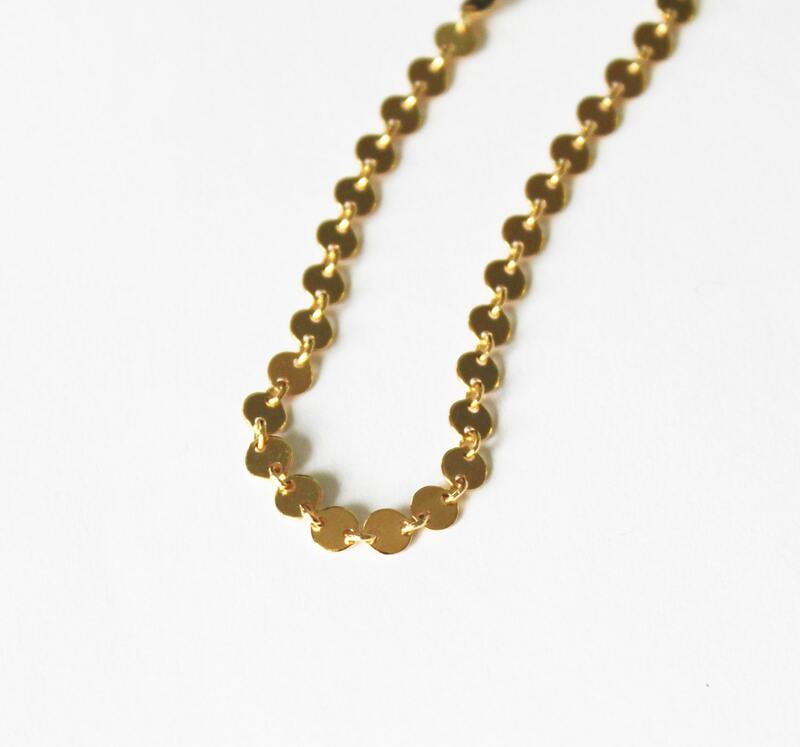 Easy to wear, layered it or wear it alone it seriously goes with everything. -High quality sterling silver, rose gold or 14kt gold filled. -A spring clasp with 1 inch extender. 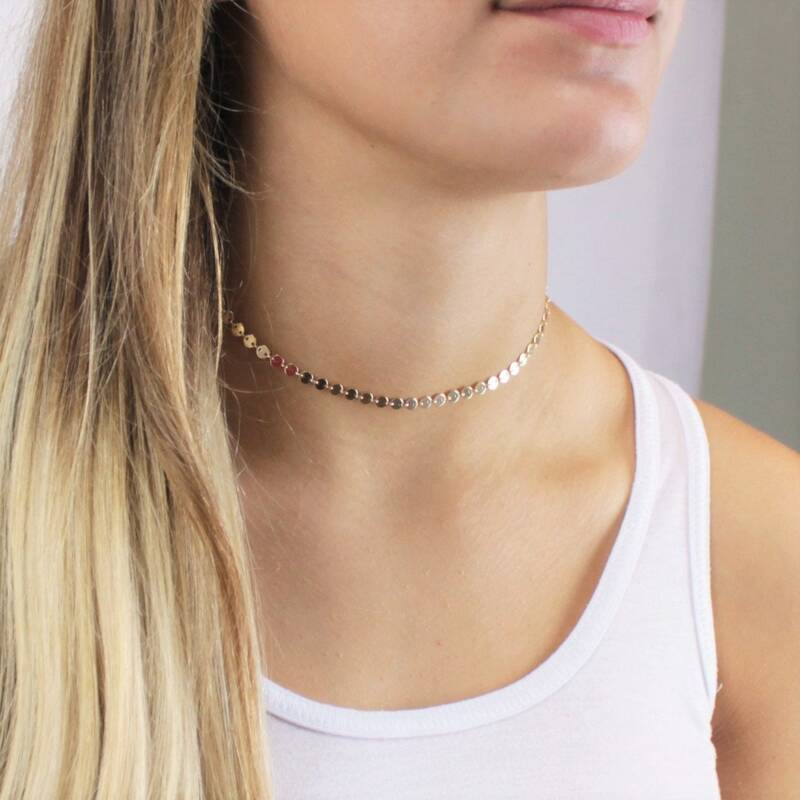 Listing is for one sequin choker necklace, please visit our shop for other layering designs as seen in the photos. -Model is wearing 14" in Photos. 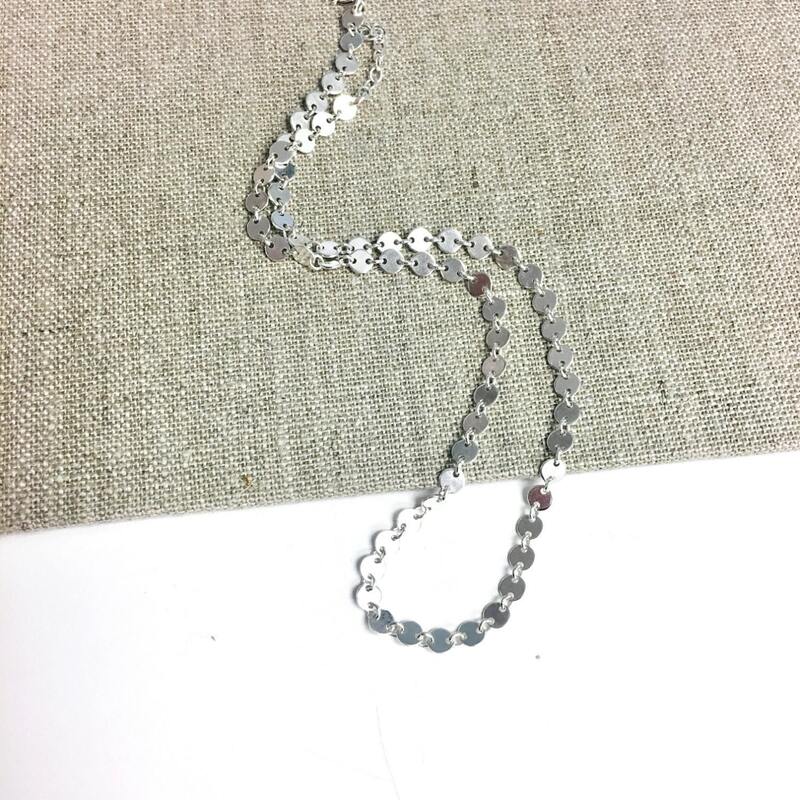 -If your necklace measures 12.5 inches order the 12-13 inch necklace. There is one inch of extender at the end. I have purchased from The Silver Wren twice now and have yet to be disappointed. The owner of this shop genuinely cares about the quality of the items and the happiness of the customers. I recommend this shop to all of my friends and family. It’s definitely my go-to shop for jewelry and for gifts. Can’t wait to purchase again!! Love it! Bought two different colors. Love it! Bought two different colors! Great quality items.. I never take them off!